Artful harmony with nature rules this restaurant nestled within the Ozark Mountains. Trying a local dish is one of the most direct—and most delicious—ways to interact with a new place. 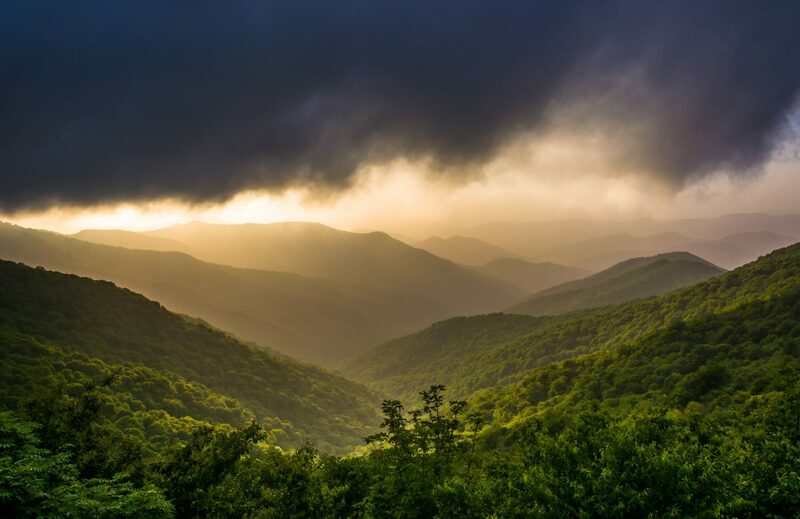 This wildly popular dining venue nestled within the Ozark National Forest offers warmth and a sense of human connection combined with a plethora of outdoor fun to refresh your spirit with adventure. 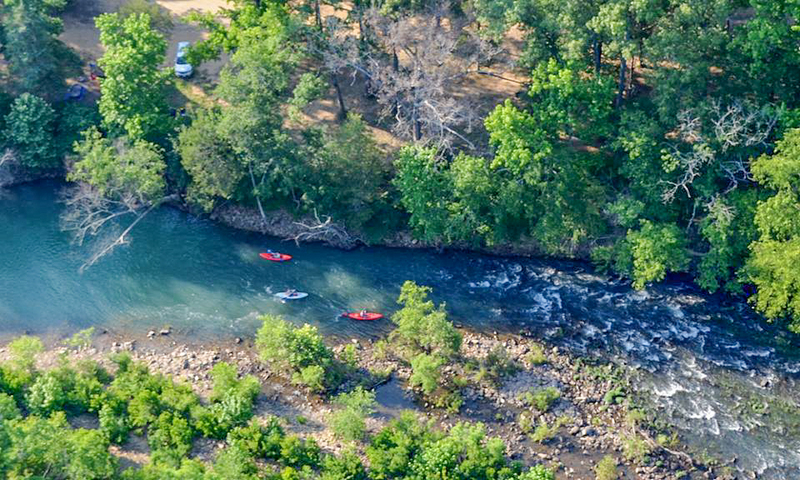 The variety of Arkansas river rafting adventures is remarkable, ranging from matchless trout fishing trips and rugged whitewater rafting to peaceful float trips. 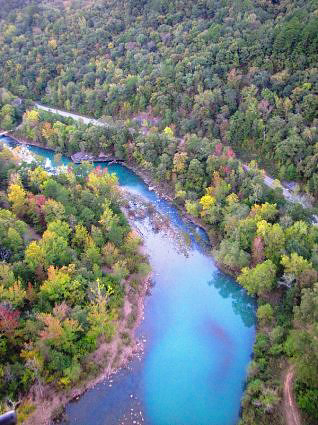 As one of the premiere whitewater destinations in Arkansas, the Mulberry River begins in the upper Ozarks near the mountain community of Fallsville. It descends through 60 miles of forested hills and rock outcrops on its way to the Arkansas River. With a quality of water ranging from blue-green to emerald, the Mulberry is a beautiful river. It is common to see wildlife while paddling among the unspoiled bluffs and meadows of the Ozarks. 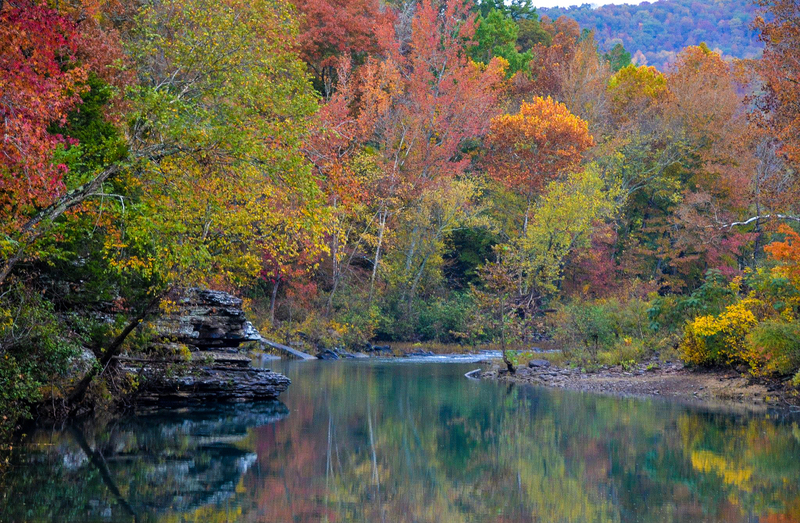 Due to the valley’s pristine nature, the Mulberry River is federally protected and is included in the U.S. National Wild and Scenic River System. 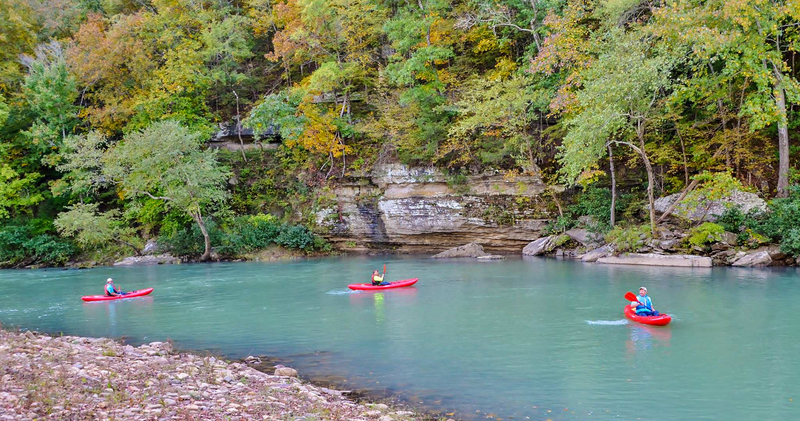 The Mulberry River is not just mighty among canoeists, kayakers, and rafters. 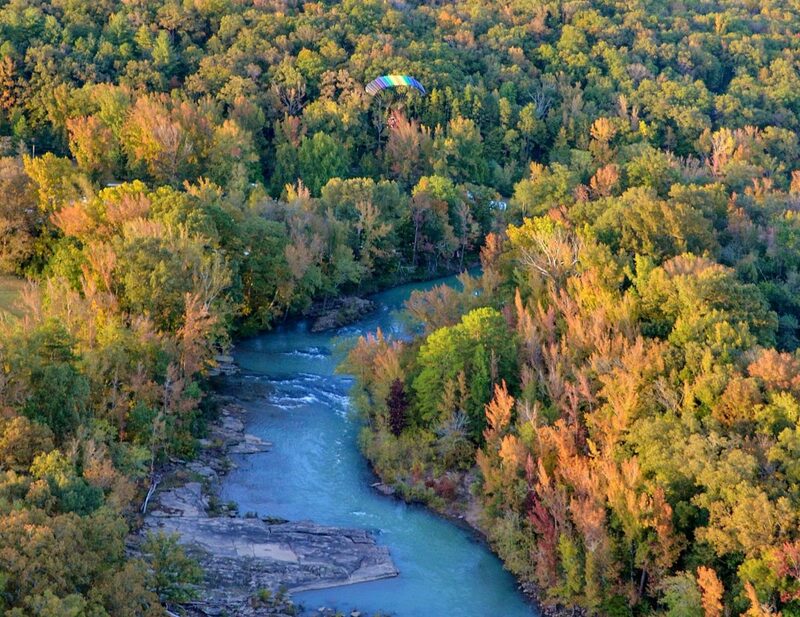 Byrd’s Adventure Center offers 800 acres of Mulberry River frontage and is home to a wide range of outdoor activities. All pilots and aircraft are welcome at Byrd’s. 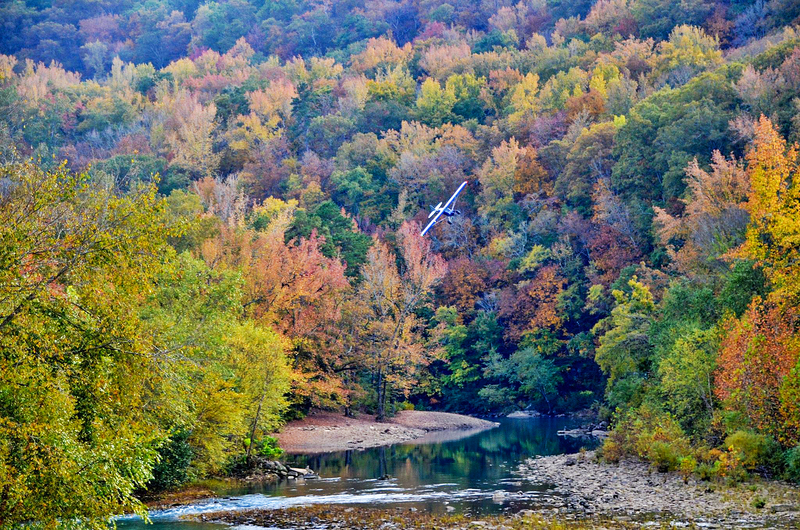 Located on the wild and scenic Mulberry River in Arkansas, Byrd’s Adventure Center features two grass runways on 800 private acres surrounded by the Ozark National Forest. The primary 1900′ airstrip is suitable for many single-engine airplanes, while the secondary 1000′ strip is open to ultralight aircraft such as powered parachutes and trikes. 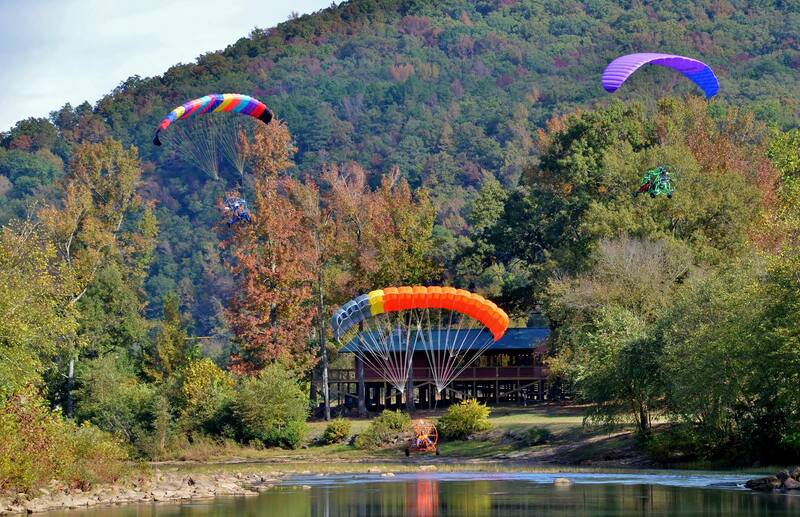 Flying at Byrd’s Adventure Center is free! RV camping with hookups is $10 per person per night. Cabins are available on site, and camping is $7 per person per night with access to a large heated shower house. In addition to wingtip camping and fishing, Byrd’s hosts fly-ins every spring and fall. After a long day of outdoor fun, enjoy a meal with family and friends at a beautiful riverfront restaurant in the Ozark National Forest. 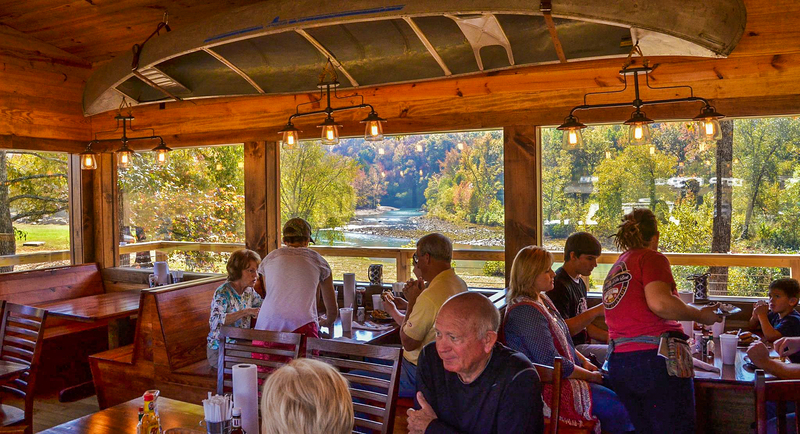 Mulberry Riverfront Restaurant is hidden gem within the Ozark Mountains, and welcomes outdoor enthusiasts such as kayakers, rafters, and canoes floating down the Mulberry River. There you will find spectacular new takes on traditional dishes—all beautifully presented, and much of it locally sourced. Designed to bring the scenic landscape inside, the restaurant’s open-concept design and panoramic views of the nearby Mulberry River and Ozark Mountains allow travelers to experience the rugged beauty of Arkansas while relaxing. You can’t go wrong with any of their trout, catfish, chicken, smoked meat, burger, or sandwich entrees. Top off your meal with one of their homemade desserts. 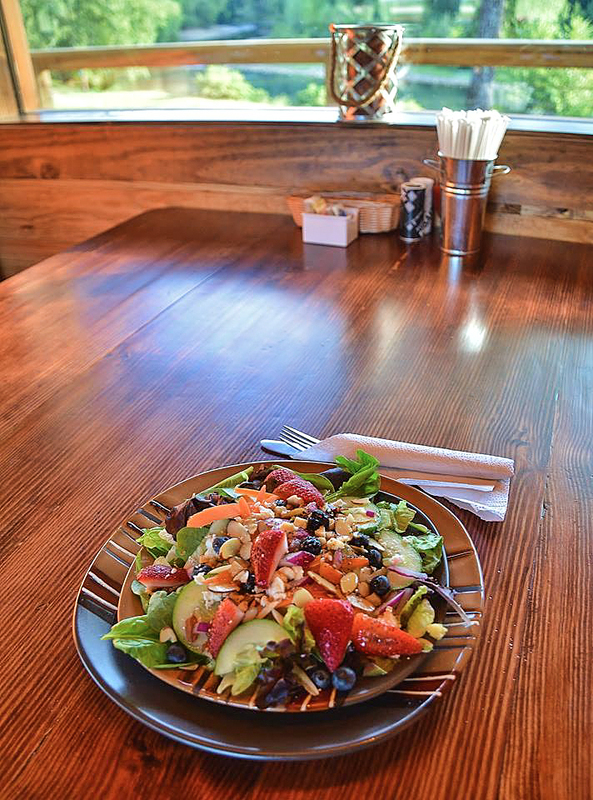 Whether you enjoy whitewater paddling, backcountry aviation, hiking, fishing, camping, or trail riding, Mulberry Riverfront Restaurant is the top destination for dining within the wild, untamed beauty of the Ozarks. 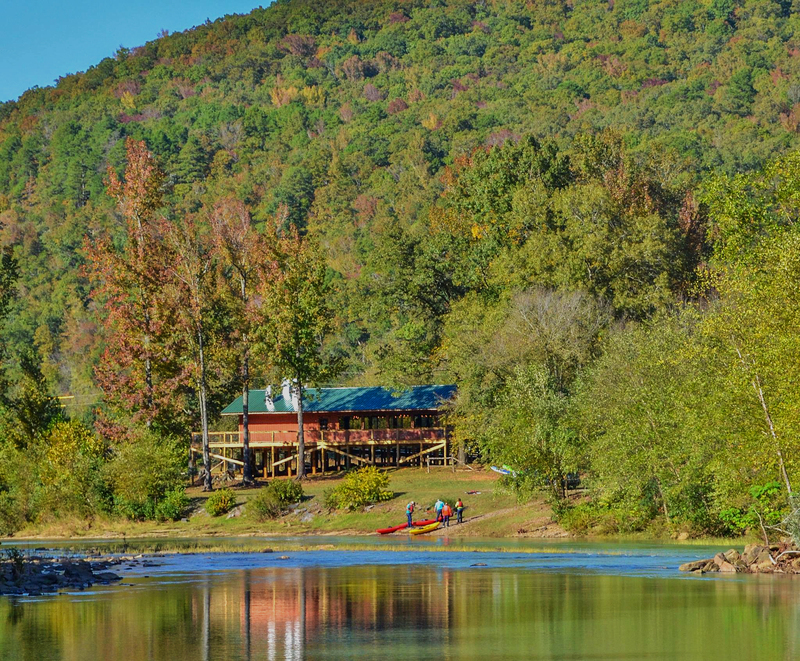 Arkansas’s most incredible lakes and riverways offer an inimitable slice of elevated taste and luxurious amenities fused with award-winning fishing, hiking, and water sports. 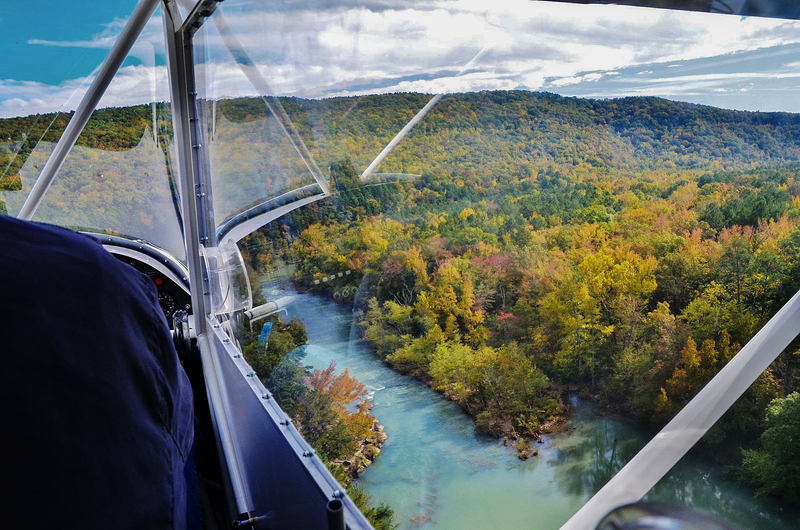 For nearly a century, thousands of visitors have sought out the dramatic vistas, spellbinding wildlife, and delicate ecosystems on display in the Ozarks. These Arkansas lakes are perfect for making unforgettable memories, and have been listed in the “Top 100 Best Bass Lakes in America” by Bassmaster Magazine. Lake Dardanelle is one of the most accessible and attractive recreation areas in Arkansas. Located about half-way between Little Rock and Fort Smith, the lake stretches some 50 miles as part of the $1.2 billion Arkansas River Navigation System. It’s not often that humans can create something of such extraordinary natural beauty. 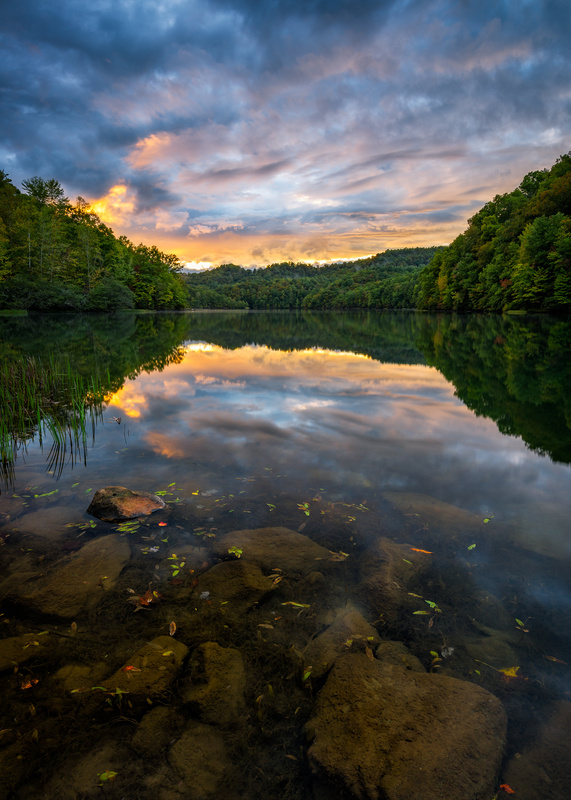 Surrounded by the Ouachita National Forest, Lake Ouachita is known for its beauty and the clarity of its waters. These pristine waters form the largest man-made lake within Arkansas’s borders. 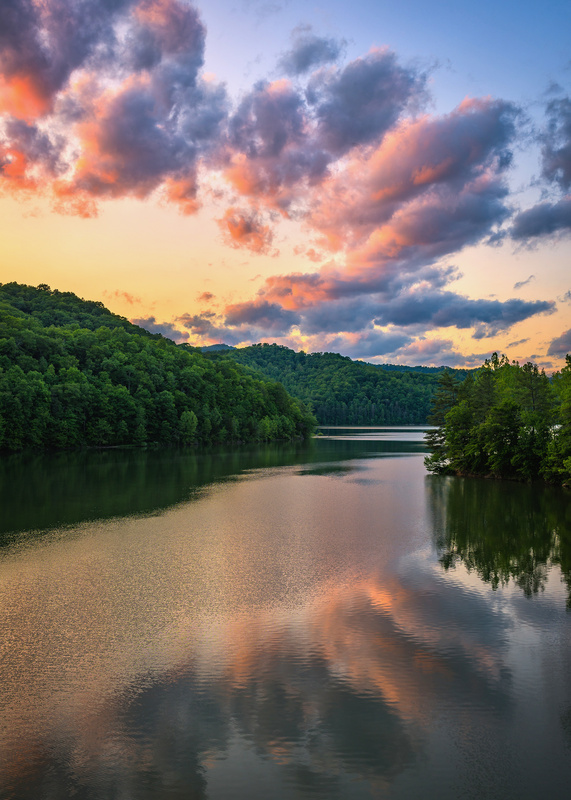 Named one of the cleanest lakes in America, 40,000-acre Lake Ouachita is a water sports mecca for swimming, skiing, scuba diving, boating, and fishing. 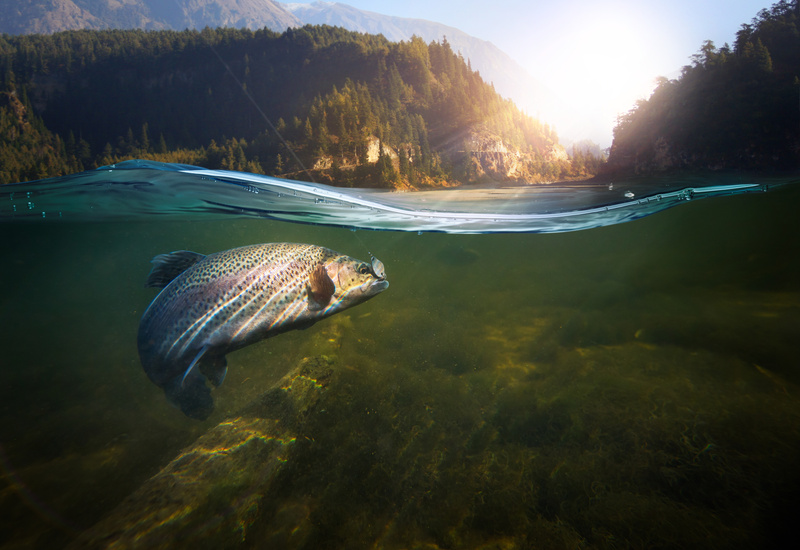 Angling for bream, crappie, catfish, stripers, and largemouth bass can be enjoyed in open waters or quiet coves along the lake’s 975 miles of shoreline. Millwood Lake was formed when the state’s longest earthen dam (3.33 miles) was completed across the Little River. Millwood is a renowned fishing lake, with much of its more than 29,000 acres being flooded timber that provides exceptional cover for its wide variety of fish, including largemouth and spotted bass, crappie, white bass, striped bass, channel and flathead catfish and bluegills. Boat lanes lead the way through the timbered waters, and there are 5,000 acres of open water near the dam. Each year, the lake hosts numerous bass fishing tournaments and fishing derbies held by local and out-of-state organizations. Nestled between the Ozark Mountains, Bull Shoals Lake and the White River below its dam, are one of the top fishing spots in the country. The U.S. Army Corps of Engineers project, located in north central Arkansas on the Missouri-Arkansas state line, enjoys a wide reputation for lunker bass fishing along with its twin, Lake Norfork, just to the east. Bull Shoals Dam, completed by the U.S. Army Corps of Engineers in 1951, is the fifth largest concrete dam in the United States. Including the portion located in Missouri, the lake totals some 45,500 surface acres. Almost 1,000 miles of rugged shoreline is open to visitors and 60,000 acres of public land provide a variety of opportunities. Over 20 parks developed through the cooperative efforts of local, state and federal agencies are located on the lake shore. Commercial docks on the lake have boats, motors and guides for hire. Scrappy large-mouth bass, spotted bass and white bass abound in the lake, along with crappie, channel cat, bream and walleye.